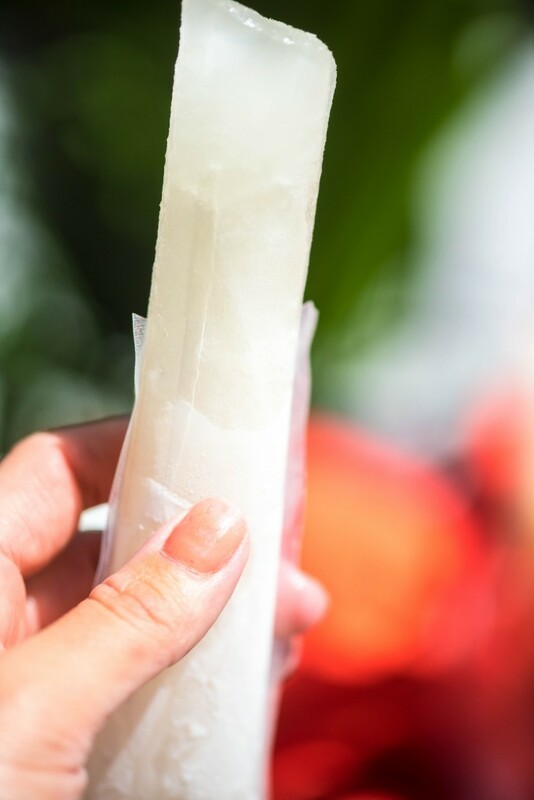 Ready and waiting for summer, this Prosecco Popsicle Recipe or “Poptails” are the perfect way to cool off and relax with friends! A little less than a week ago, my Facebook feed blew up with an articles from Delish about Prosecco Popsicles, and how Summer 2017 was going to be the best one ever. I swear, half my feed was bloggers sharing this in jubilation, and the other half was friends of mine. It was EVERYWHERE. One minor problem? They don’t widely exist in the US, and that’s just about where everyone I know lives. 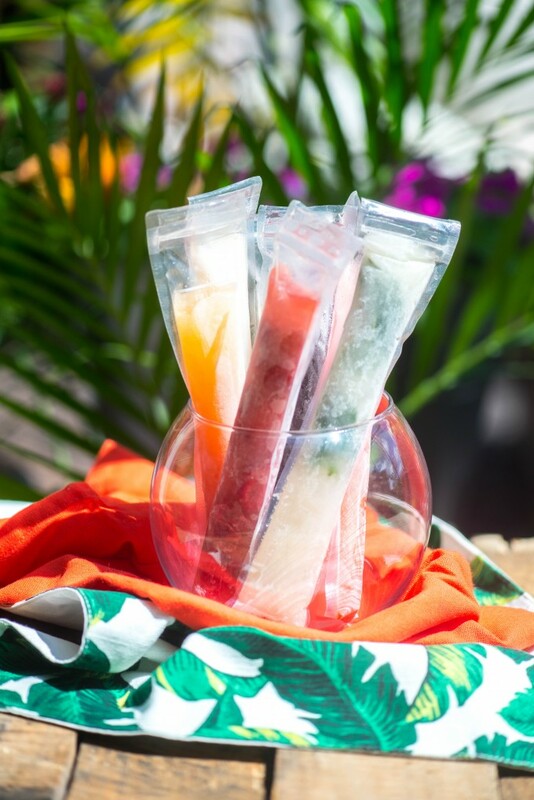 I shot the video for these Prosecco Popsicles on Mother’s Day afternoon, and as you can see, I pretty much just condensed my drinks down to 3.5 oz versions of their normal glory. I OF COURSE had to go and taste test the already frozen ones. Here’s the deal- they are GREAT. They are also, obviously, strong (although that seems to be tester-dependent, my husband didn’t think they tasted strong at all), as there is no ice to gradually water down your drink. Looking at the original article, the commercial ones tend to have an alcohol content of 4%, so they are obviously mixed with water or something else- otherwise, they’d be running the standard 14-ish percent for prosecco. Now, that being said, four of these froze solid- the prosecco, raspberry rosé, fireball sangria and mojito. I put them in my deep freeze overnight, but they were solid after about 6 hours. 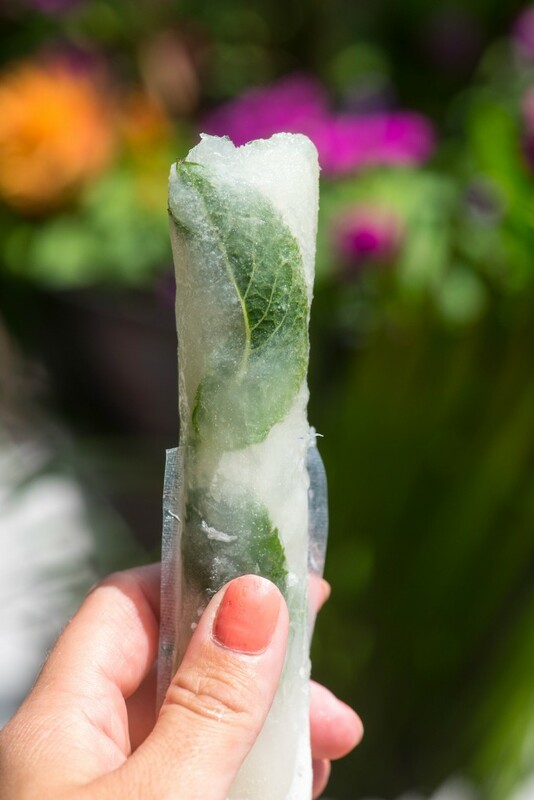 However, they thawed quickly when I brought them outside to photograph, BUT it was legit 98F outside, so that likely had plenty to do with it as well. I would say that they had about the same amount of outside-ice-life as a Fla-Vor-Ice pop. The other two- the painkiller and the limoncello sunrise, got CLOSE to solid but not quite all the way there. This wasn’t surprising to me- the coconut cream has a high enough fat content that it would prevent things from freezing rock solid (kind of like how ice cream made with whole milk and/or cream is softer and easier to scoop than ice cream made with skim milk, for example- less fat and more water). That being said, they were still both great and easy to eat/slurp out of the tube. Speaking of- what I used (and honestly probably fairly necessary)- these Zipzicle Ice Pouches were great. I ordered them on a whim through Amazon Prime Now, once I realized that I didn’t have something that would work great for this little project. There’s also Frozip Ice Popsicle Mold Bags, which come in a pack of 125 and come with a funnel, which might be worth it. I didn’t know that those Fla-Vor-Ice bag/pouches exists for home use, but surprise! They do. And they’re nice and don’t leak and are easy to use. There are two directions that you can go with this, and it really depends on what kind of day you want to have and where you want to eat these. I have no problem with the full cocktail version- but know that you’re not taking them anywhere other than your house and have them be frozen. BUT, if you do want to take these somewhere- I’d suggest diluting them down with at least 1 oz- 1.5 oz water (so 30-50%). The flavor obviously won’t be as strong, but they will freeze solider. 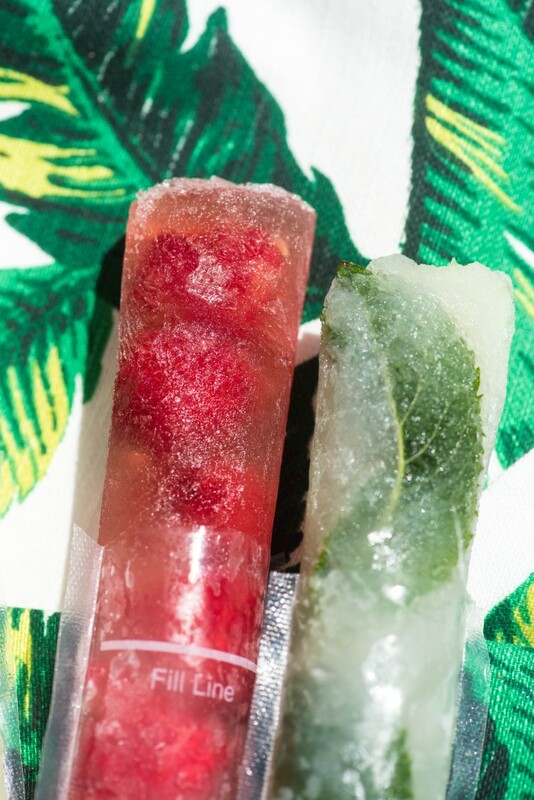 The prosecco popsicles that I made with fresh raspberries and a brut rosé froze the hardest, likely due to the water content of the raspberries, so I think there’s something to the theory there. Maybe think of them like Jello shots. Like I said, you really can’t go wrong either way! I think I’d prefer the full cocktail popsicles, but then again, I haven’t had the other ones to taste test either. 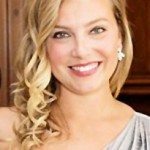 Prosecco: Fill popsicle tube to fill line with prosecco. 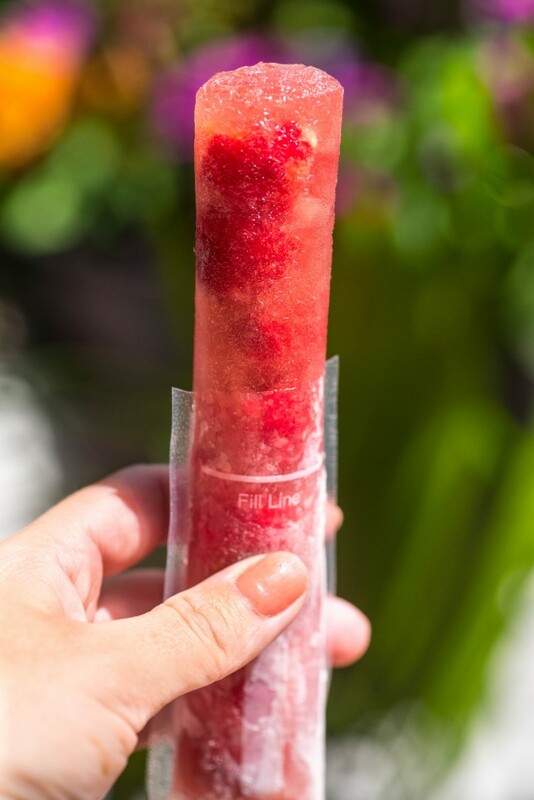 Raspberry Rosé: Drop fresh raspberries into mold tube, then fill with rosé to fill line. 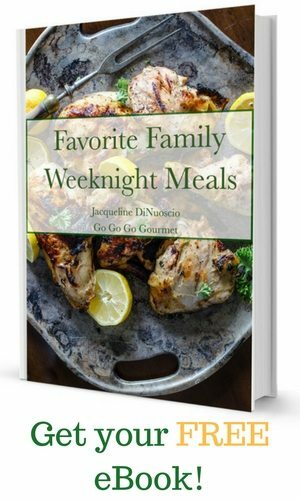 Freeze for at least 6 hours, preferably overnight. 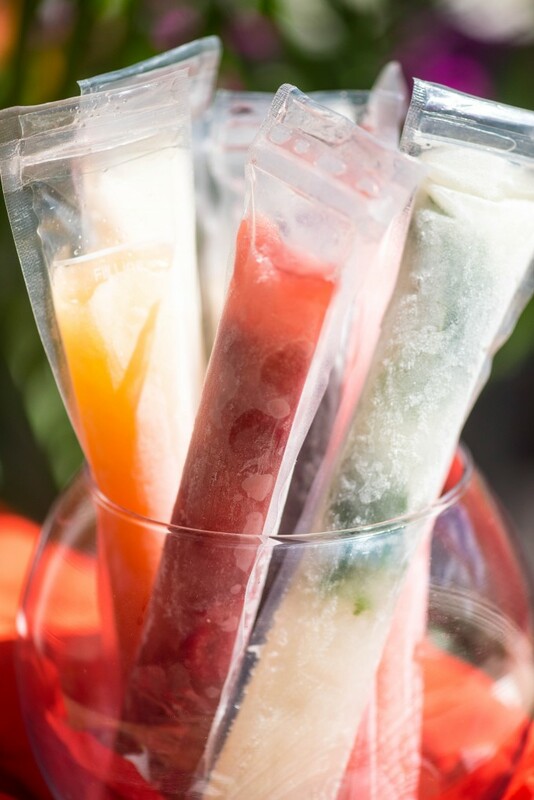 If you liked these Prosecco Popsicles and 5 Other Great Poptails, try these too!